Not many traditional publishers call for submissions these days. In fact, traditional publishers actively try to dissuade writers from contacting them. This makes you wonder why they're in the business and what modern publishing houses are all about. My vent sorted, I wanted to call your attention to John Hunt Publishing, a traditional publishing house that deals with a large number of different imprints. So whatever your genre, chances are your work could be suitable for them. This publishing house is also attempting to put together a comprehensive database all authors can truly benefit from, so it's worth your while checking them out - even if it's just to gain some insight into the difficult publishing game we play. 1. Our publisher will review your submission for overall fit with our program. 2. If your book looks like a good fit, our publisher will create an account for you on our automated system. 3. You will logon to the system to complete a more detailed new book proposal form. 4. Your detailed proposal will be reviewed and a final publication decision will be made. Subscribe to A Blogger's Books for future submissions' notes and tips. It took me eight years to find my publisher, so I do understand how important it is to find the right people to get your book to your readers. 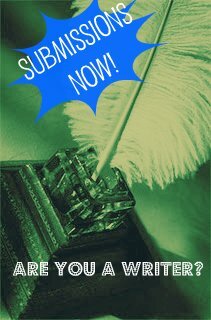 I've scheduled a number of these calls for submissions to run for the next few weeks in order to help my fellow authors find the right publisher for their manuscripts. In the meantime, here's a page I've put together with some paid writing work. If you find this post or any other on this site helpful, please share them on your favourite social networking sites. Thank you. Thanks for the introduction. When the right time comes, I will refer to your article about the publisher. That's great, Amanda. You've got a lot to say and I'm sure you'll make a splendid author. This is such a great information for writers. Thanks for sharing this, Anne!